This tip may contradict everything you've heard before. However, if you consider it with an open mind, you will see that it is an accurate characterization of the law, and it is also consistent with common sense. The phrase "If it isn't written, it wasn't done" is repeated so commonly that it seems crazy to question it. But with very limited exceptions, it is NOT Medicare law. When you have provided a service to a Medicare patient but find that the documentation is lacking, you can and should bill for the service, and appeal any denial of the service, unless there is a specific rule (such as the rule requiring documentation of certain medically directed anesthesia services) that requires that the service be documented. Medicare law doesn't require documentation for all claims, it requires evidence that the service was furnished. It is certainly true that many, if not most observers, including health lawyers and consultants act as though any lack of documentation renders a claim fraudulent or at least unbillable. This is particularly true for Evaluation and Management (E&M) services, because nearly everyone treats the E&M Documentation Guidelines as if they are a requirement. However, official publications from CMS indicate that the Guidelines are, as their name confirms, a Guideline, not a rule. In 1995, when CMS (then called the Health Care Financing Administration, or HCFA) first issued the Documentation Guidelines, they issued a question and answer sheet that asked, "Are the Documentation Guidelines required?" The answer: "No." The memo proceeded to explain that if Medicare conducts a review and determines that documentation is lacking, then the carrier is supposed to request additional information from the physician to determine whether the services were rendered. In short, the memo indicates that you determine the code based on the level of service provided by the medical professional, not by the amount of documentation. The documentation services to provide evidence that the code billed is correct, but other evidence can, and should, be considered as part of review. The memo makes it clear that the documentation becomes relevant only when there is a question as to whether the service was provided as billed. Most Medicare carriers/Medicare Administrative Contractors ("MACs") ignore this memo. When they find documentation lacking, they do not seek additional information, they simply deny the claim. Often, they cite a Medicare statute that says, "No payment shall be made to any provider of services or other person under this part unless there has been furnished such information necessary in order to determine the amounts due such provider." Social Security Act §1833(e). The MACs typically claim that this requires you do document information in the medical record. But if you read the sentence, you can see that the law does not mention the word documentation, nor does it mention a medical record. The requirement of the law is that the provider of the service must "furnish information" necessary to demonstrate what you have done. 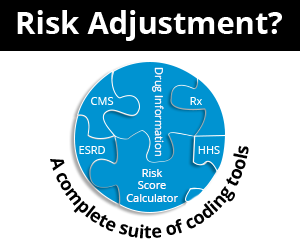 You can comply with that statute if you can support the code you selected through testimony, a letter, or other information that supplements the information available in the medical record. I do not mean to suggest that documentation is unimportant. If the documentation is deficient, it is going to be much more difficult to prove that the services were delivered. According to the CMS document, if Medicare performs a review and the documentation meets the guidelines, the review is closed. If the documentation is lacking, you have to convince the RAC, MAC or a Judge that the services were really provided. That will be a significant uphill battle, and can cost you both time and money. From a risk-management perspective, it is foolish to allow a significant number of claims to be submitted without documentation in the record. However, just because it is prudent to have your documentation satisfy the guideline does not mean that it is fraud to fail to meet the guidelines. When documentation is missing, you do not have to refund money on the chart as long as you reasonably believe that the service was provided as billed. In short, the Documentation Guidelines, are voluntary; not a duty. So how do you determine whether a service was actually provided when the documentation is missing? That will appear in a future tip.